If I tell you I have a thing against exclamation marks, will that bind you up so much you can’t Facebook message me anymore? Lookit, I like them. I even love them, in context. 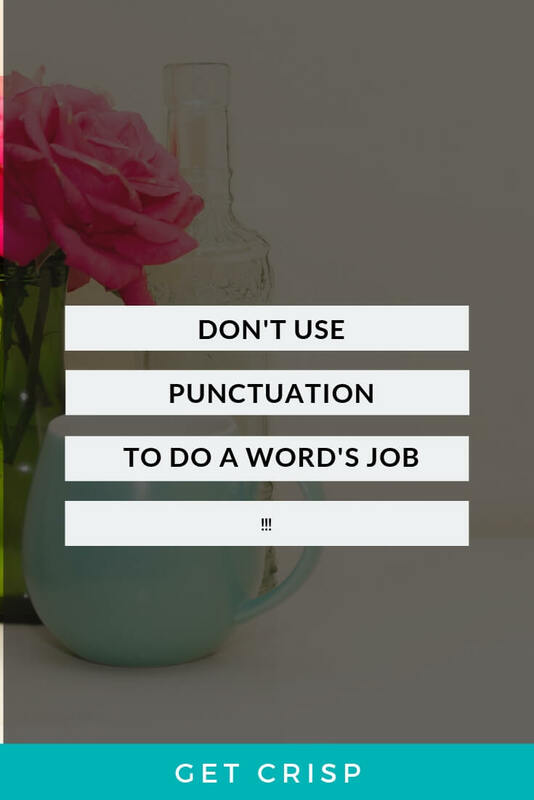 And on social media – A-OK to exclamation mark the heck out of your content in a conversation. We do it because it’s difficult to express tone and excitement in text without the aspects of being face to face (or even being able to speak to someone on the phone). 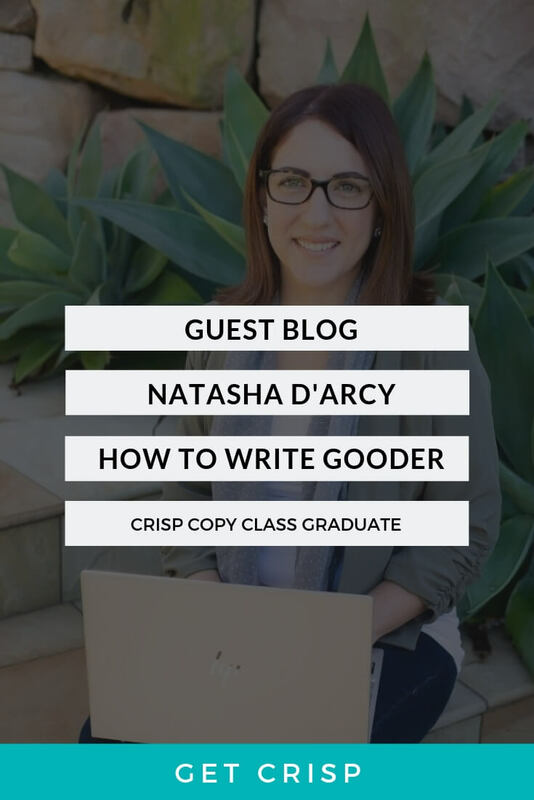 If you’re writing or editing your website copy, however, I always start by removing at least two thirds of exclamation marks throughout the content. 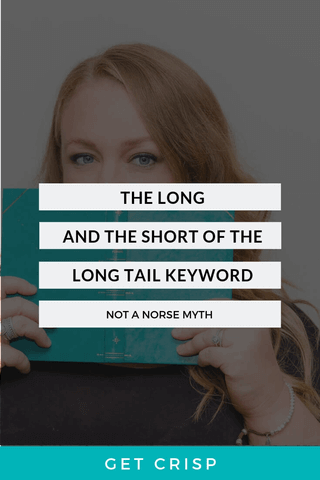 If you use too many exclamation marks, your reader will start to feel as if you’re not authentic: why are you so overexcited, what are you hiding, is the product not as great as you say it is so you have to overcompensate, are you hyper? If you’re a blogger on hyperactivity then, yes, lots of exclamation marks are probably relevant. Have a look at your copy this week and see where you can cull a few !’s! While we’re on punctuation, let’s take a look at the use of ellipsis. Or if we want to show longing. Just like an exclamation mark, using the ellipsis in place of a comma dilutes its power. Gone are traces of melancholy, and the clandestine concept of what might happen next. 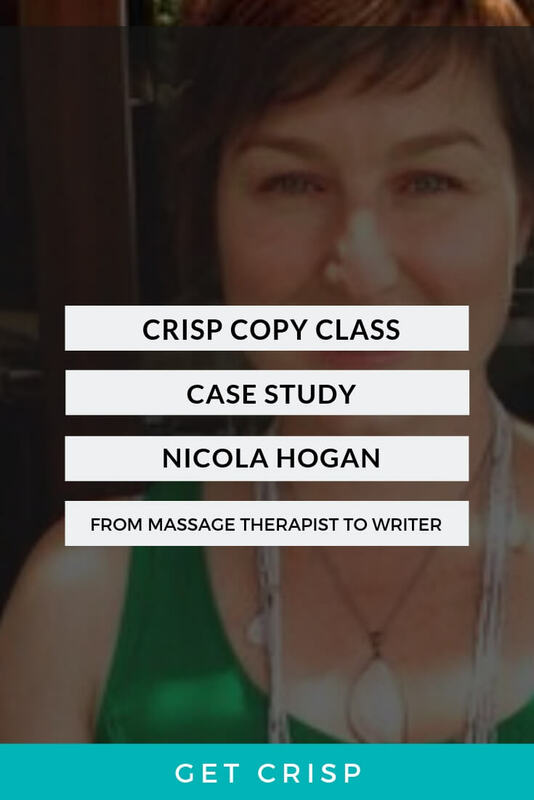 We’ve been talking about this in my online community for the betterment of copy – The Crisp Copy Class. Your words should pop, not your punctuation. This blog is not a grammatical How To – this is website copy for the sake of marketing, not University Literature 101. For example: we don’t tack on full stops to the end of all our sentences if the sentence is a title and it doesn’t look swish. That full stop is ignored, unloved and unwanted. It’s sacrificed for the good of ‘the look’. However, when you’re planning for your copy to be as polished and presentable as your product, it’s worthwhile to give it a once over and remove anything that weakens your scrumptious message. Let’s not even start on SHOUTING AT PEOPLE TO GET THEIR ATTENTION.